First, the weather change. Even though I strongly “dislike” (my Mom said not to use the word “hate” – LOL) cold weather, I absolutely love layering clothes, and wearing boots, warm jackets and cute scarves. Fashion is so much fun in the colder months. 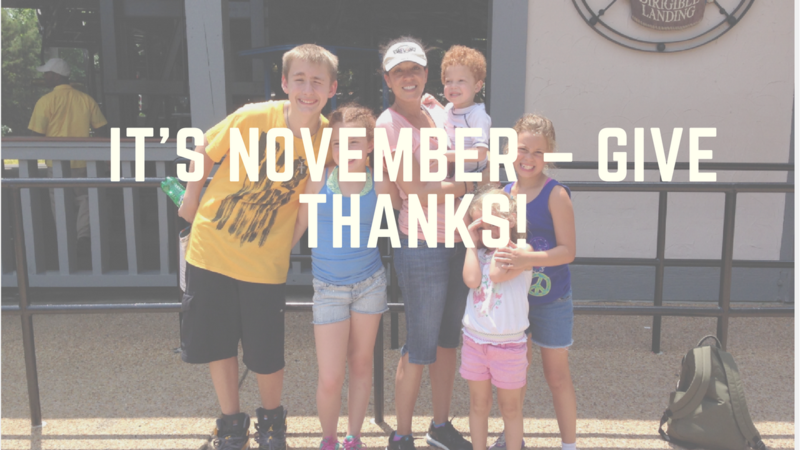 Second, it’s the month that stresses being THANKFUL and GRATEFUL. In the hustle and bustle of every day life, we sometimes forget to give thanks to the little things… that are actually BIG things yet we sometimes take for granted. Like… the ability to walk, talk, run, laugh, hear, see, smile, and DANCE!! And of course, we should all be thankful for our health, family, friends, and teammates. Today’s featured article focuses on our military and giving thanks to our troops. Everyday but especially this month, thank a man or woman in uniform when you see them in passing. Donate your time or financial rewards to a cause in support of the branches of our military. Be reminded that WE ARE because THEY ARE. The NFL holds the military close to its heart. Not only to NFL coaches and players show their support at home and abroad, but so do the beautiful cheerleaders that grace the sidelines! Throughout the month of November, the NFL raises money through their Salute to Service campaign and donates the money to the USO, the Pat Tillman Foundation and the Wounded Warrior Project. The USAA is the Official Military Appreciation Sponsor of the NFL. Being a professional cheerleader is so much more than simply dance & glamour. 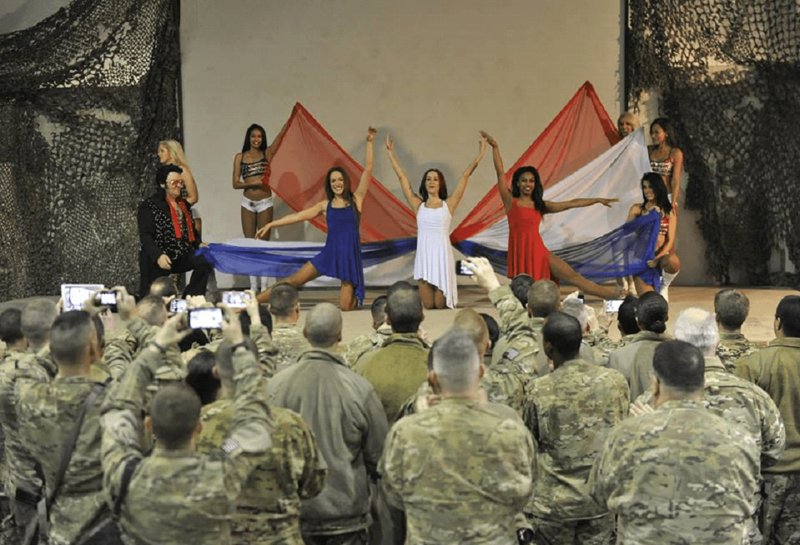 The Washington Redskins Cheerleaders and many other dance teams are recognized for their constant support and engagement with our service members at home and overseas. At home, you will see the Washington Redskins Cheerleaders represent the United States Marine Corps, Navy, Army & USA pride with their uniforms, routines and song choices throughout the Washington Redskins home game on November 16th. 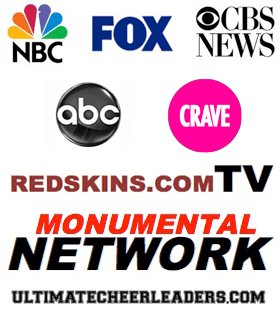 Away from the Washington DC area, the Washington Redskins Cheerleaders have graced military bases in areas like Japan, Djibouti, Egypt, Afghanistan, Iraq, Dubai, Europe and even locally here in Virginia & Maryland – among many other places over the years! It is an amazing honor to represent the United State and the Washington Redskins overseas, and to help bring a little piece of joy from home to those serving us overseas. In January 2014, eight 1st Ladies of Football went on the 45th Armed Forces Tour of the Washington Redskins Cheerleaders to Afghanistan. Inside of the US, the Washington Redskins Cheerleaders are also able to spread joy to our military! The below photo was taken in 2012 in Fort Drum Military Base, in NY! If you would like to show your military appreciation throughout November, you can post a “thank you” by including #SalutetoService in your social media posts! If these experiences are something that seem rewarding to you, consider working harder towards your goal of becoming a professional cheerleader! Through the NFL & NBA, there are many amazing opportunities to volunteer to make an impact on those who serve us. 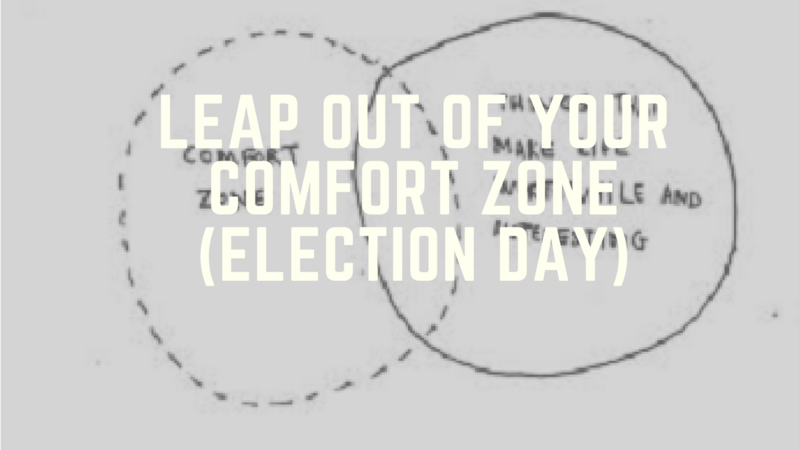 Leap out of Your Comfort Zone (Election Day) It’s November – Give Thanks!